Dr. Timothy Jung is a Senior Lecturer in eTourism in the department of Food and Tourism Management, Manchester Metropolitan University. He has supervised one student to successful PhD completion and supervising 4 other PhD candidates whose research ranged from eMarketing, eCommerce for tourism & hospitality, eService quality, Brand loyalty in B2B service sector and Geotourism. Prior to joining the Manchester Metropolitan University, he worked as a research officer in the eBusiness research project with ThomasCook.com. He is an active member of professional associations such as, International Federation of Information Technology and Tourism (IFITT) and the Asia Pacific Tourism Association (APTA) and he is a regular contributor to international conferences on the topics of Information Communication Technology, Internet Marketing and eCommerce/eBusiness for Tourism and Hospitality. 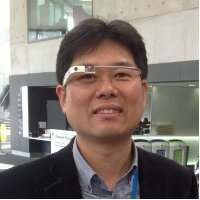 He has been involved in a study of Green Tourism Policy in UK (Ministry of Culture, Sports and Tourism, Korea) and he is currently adviser of 2012 Yeosu Exposition, Korea. His current research focuses on the evaluation of eCommerce systems, multi-channel distribution, mobile technologies, and social media networks in the tourism and hospitality industry. In addition, he is interested in ICT & sustainable tourism development and ICT & cultural tourism.